Since its founding in 2008, Church Health Reader has grown from a startup website to an award-winning print and online publication. 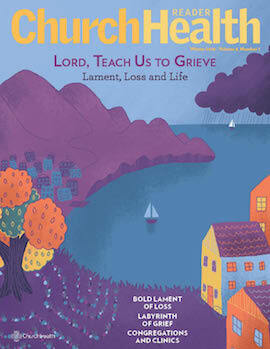 Published by the Church Health Center in Memphis, Tennessee, Church Health Reader encourages and equips people of faith to create and sustain Christian ministries of health, healing and wholeness. Our quarterly publication publishes inspirational and innovative resources drawn from knowledgeable sources, and offers practical ways to create happier, healthier communities. I would like to support the publishing mission of Church Health Reader by making an additional donation today. Church Health Reader is committed to protecting your right to privacy. We will collect, store and process your personal data for the purpose of servicing your subscription. By using our website and services you consent to our collection and use of your information.